The Scandinavians have a hand these days for producing interesting and edgy television, with a focus on crime (but, see “Borgen”, also the more murky business of politics). 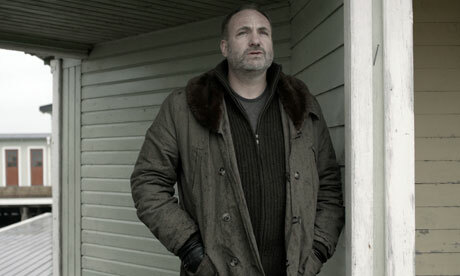 While “Forbrydelsen” (The Killing) is still the uncontested highlight (especially with the rather… uncompromising finale of Season 3), and “Borgen” might have reached a natural end, “Bron/Broen” (The Bridge) creates an odd continuity of unconventional female leads, and of lacking willingness to give up European style of telling stories. And have not “The Millenium Trilogy” films about girls with dragon tattoos also been tv productions? (I guess the Wallander films could be mentioned, but I have not seen those). These guys (and ladies, in particular) are all far from perfect, some of them are outright sociopaths, and that makes them all the better heroes, whom you can admire for their dedication, while at the same time wanting to smack them in the face for being so stubborn or ignorant or cold when it comes to aspects other than their line of work. No need to get into details of Bron/Broen – it follows the established patterns of serialised tv, with a strong and weird opening (a body on the bridge between Denmark and Sweden, ah – actually bodies, well, one in total), and then the investigation is set up as (funny twist here) an intercultural challenge with a joint Danish-Swedish police team. As I learned in the course of Lars von Trier’s masterful “The Kingdom” hospital show that there are certain tensions between the two countries, and that communication is not always easy, the Scandinavian in-jokes were rather easy to follow, even though I cannot for the life of me distinguish Swedish and Danish language. There is even a bit humour here, largely absent from the other named examples of the Scandinavian tv renaissance, and there are two strong lead actors, the scruffy Danish officer Martin Rohde in particular and his Swedish counterpart, crazy lady Saga Noren. Over 10 episodes, the story develops enough twists and turns to keep up interest, it takes you where it needs to take you, and in the end, it decides that you may not have had enough. Very good and solid tv crime, nobody does this better at the moment than those Northmen! Never seen this show but that actor in the photo starred in this awesome film I saw Terribly Happy. and he holds it together here. The girl is a bit over the top with her maniacal approach, but he is the mostly relaxed counterpart, incredibly patient with her behaviour. Seems I will need to check out some of his other films, such as Terribly Happy, thanks for the tip.